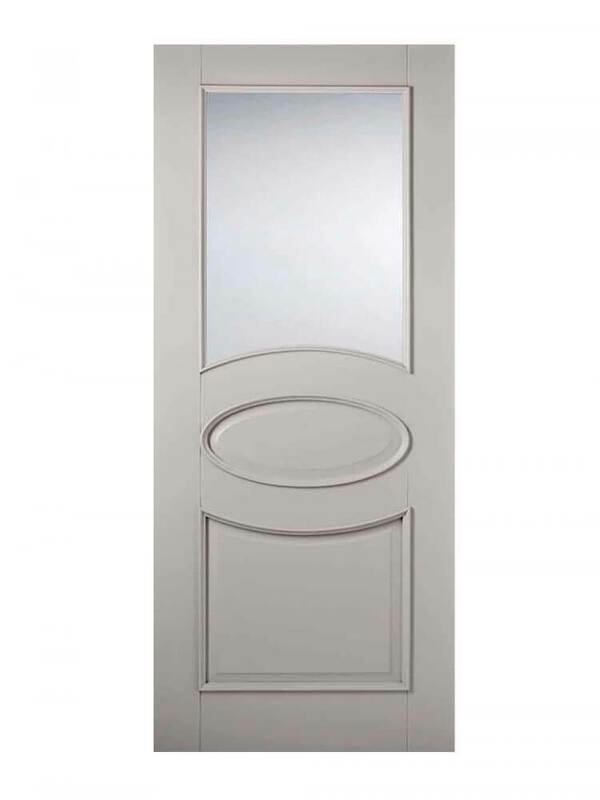 One central oval panel, with glazing above and square panel below, bold mouldings. Grey Versailles Glazed. 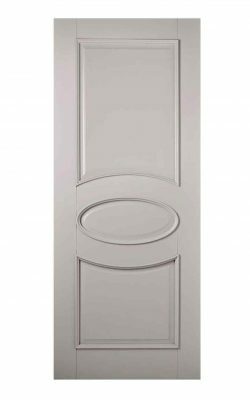 Showcasing one, oval panel with one glazed rectangular panel above and one solid panel below. 1 Light Clear glass panel.